Christmas is a time for celebrating with family and friends. And, we want to warmly invite you to join our church family at Calvary to come celebrate the birth of Christ together. Our prayer is that these Sunday services and special events lead to more of His hope, peace, joy and love in your life. Each day of this 25-Day Advent Countdown Devotional, beginning December 1, will be focused on a good gift our Heavenly Father has given us to embrace. As James 1:17 says, “Whatever is good and perfect is a gift coming down to us from God our Father, who created all the lights in the heavens.” Our prayer is that the truth shared each day will stir your heart’s affection and mind’s attention toward the coming of Jesus Christ. "For unto us a child is born, unto us a son is given... and his name shall be called Wonderful, Counsellor, The mighty God, The everlasting Father, The Prince of Peace." “I bring you good news that will bring great joy to all people. The Savior—yes, the Messiah, the Lord—has been born today in Bethlehem, the city of David!" 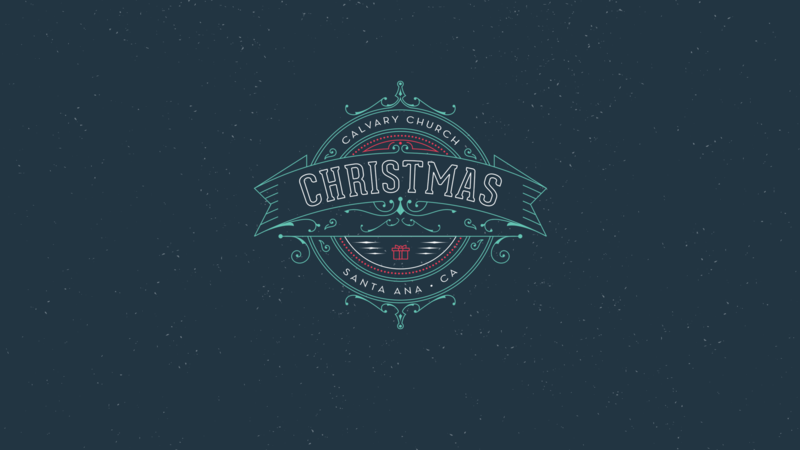 Come build memories that will last a lifetime and experience this Christmas at Calvary Church of Santa Ana. We have been looking forward to this season all year. And, we can’t wait to share everything we have planned! We invite you to come celebrate the birth of Christ together and experience this season for all that it’s truly worth. If you’re a first-time guest, be sure to stop by after each Sunday Service or Special Event and introduce yourself. We have a welcome gift waiting for you! Calvary is located near the 5 & 55 in the heart of Orange County. Free on-campus parking is available by turning off of Tustin Ave onto either Wellington Ave or Fruit St.